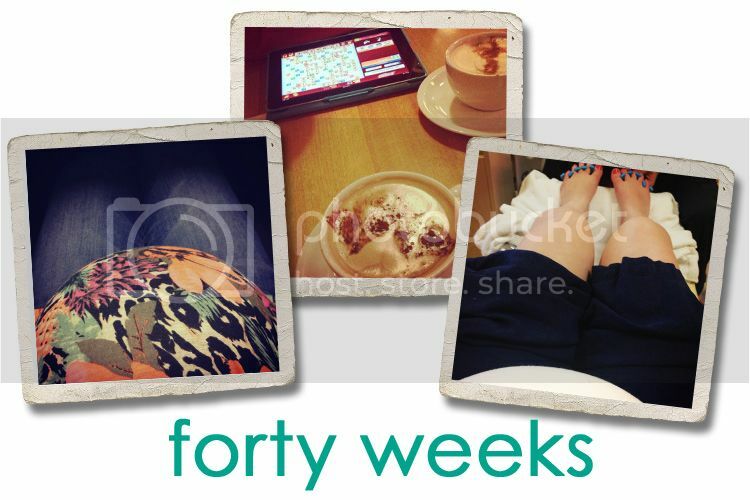 Jordy Liz Blogs: Forty weeks. Since July, today's date has been ingrained into our minds as we anxiously waited for March to come along. Here we are today even more anxious to hold you in our arms since we've been prepping and planning for you. We can definitely say any day now. We are taking advantage of not having set plans by making spontaneous plans to fill in the antsy days and nights: more coffee dates, a last-minute pedicure, longer walks with the dog, marathons of the Parenthood t.v. series, and afternoon movies. I hope we get to meet you soon enough. I bet you are ready to meet baby!! Prayers for a safe (and hopefully quick!) delivery!